Hospitals in Sana’a, Hodeidah and Saada provinces have registered 89 babies with deformities, according to medical and human rights sources. 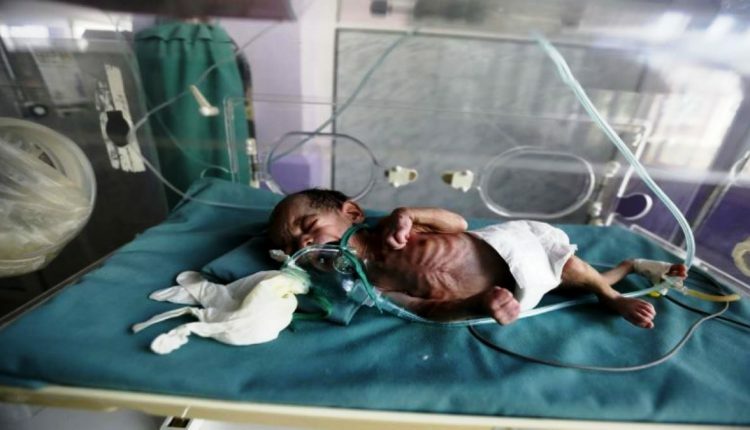 The Yemen Rasad News website said in a report that one of the Hodeidah hospitals has registered another child with congenital malformations last week. Due to lack of a neonatal intensive care bed, the child was quickly transported by medical authorities in Hodeidah to Sana’a in an attempt to save him, but to no avail. According to the medical source, the main reason for the widespread occurrence of malformation of embryos inside their mothers’ womb is the poisonous gases that the invading alliance has dropped in the last four years during their shelling and bombing of Yemen. According to medical sources, the phenomenon of deformed births will continue in the border areas of Saada because of the extensive use of internationally banned weapons by the coalition.